Last week, I had the opportunity to teach at a local gurmat retreat on the topic of the Singh Sabha Lahir. I was excited, as this era in Sikh history is rarely discussed at youth camps, but it captures a unique time in the evolution of the panth. While driving up to the camp site, reviewing names and dates in my head, I glanced at my Twitter feed (at a traffic light…I promise) and learned that Gurbaksh Singh had just ended his hunger strike upon agreement of further prisoners being released. Although I’ve been studying the Singh Sabha Lahir for a while, these recent events in Punjab made me re-look at this critical time in history from a different lens and how it affects us today. The fall of the Sikh Raj in 1849 left Sikhs with uncertainty and fear. Sikhs were demoralized, leaderless, and our dwindling population became easily influenced by the Christian missionaries and Arya Samajists spreading throughout Punjab. Then in 1873, a handful of Sikhs decided to do something about it. An army did not back them, they were not political leaders, nor were they part of the elite, but most importantly…they were not waiting around for a leader. 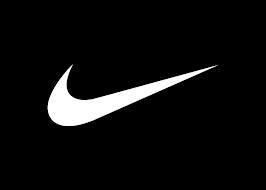 This was the beauty of the movement; it was a “Just Do It” movement. This small group of Singhs took inventory of their own skills – their education, writing abilities, community organizing, and gurmat knowledge – and marched their way through the towns and villages of Punjab. The next few decades would see a “back to the roots” movement that would inspire the masses and change the course of Sikh history for the next 100 years. What’s remarkable about the Singh Sabha Lahir is although much is said about some of the early founders – Giani Ditt Singh, Bhai Gurmukh Singh, Bhai Kanh Singh, Bhai Vir Singh, etc. The further you read about the goals and accomplishments of the movement, the number of names grow. The number of people and organizations who carried the movement become so many, to the point where you stop reading about individuals at all. Perhaps this is why the movement lasted over a quarter century…it became bigger than the individuals. When I look at recent movements, they are largely based on individuals. And I get it, we are drawn to heroes…I know I am. 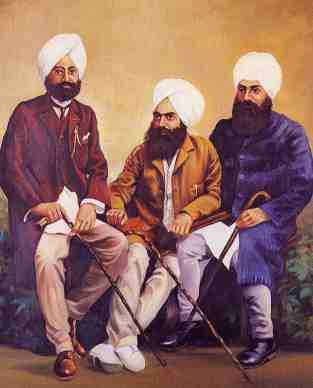 Most of my connection with Sikhi began with learning about the lives and sacrifices of amazing personalities. But heroes can only inspire a movement; they can’t sustain it, that’s on us…that’s our responsibility. Too many times we have ridden movements on the backs of heroes. And if the circumstances of the individual change, the movement fizzles out. We need to be smarter than that. This is not my idea…why else did Guru Sahib pour his heart and trust in the Guru Granth and Guru Panth? Being the visionary he was, he knew that continuing Guru Nanak’s movement will take more than individuals, it would take the toil, spirit, and ardaas of the entire Khalsa Panth. As I reflect on the state of Sikh affairs in Punjab and the diaspora, I wonder if the same dark cloud that casted over the Sikhs in 1849 has returned, in fact, many of the same obstacles the Singh Sabhiye worked to eradicate have found their way back in to our institutions – caste discrimination, idols, empty ritualism, factions etc, among a host of many other political and socio-economic issues in both Punjab and abroad. The challenges are many…we all know it. We talk about it amongst our circles; blame the lack of leadership in far off lands and retreat to our feelings of fake helplessness, finding fake comfort in the hope that somebody else will take care of it. Good thing the Singh Sabhiye didn’t think this way. And if we intend to keep our Nishan Sahib flying high…neither should we. Kabeer, that which you have to do tomorrow – do it today instead; and that which you have to do now – do it immediately!